Two weeks ago I was up in Southern Queensland , now I’m down in Victoria and about to kick off the week down here. This will be the end of the long trips till after the Sanctuary Cove and Sydney Boat Shows as there’s plenty to do locally as well. Who knows what I’ll find, either way it’ll be a busy one showing off all the new products. It may be the end of the sailing season down here and they all talk AFL, but I have plenty to show too. What I’ve found after Queensland, is that I’m spending far longer at each stop. Being able to show off more keeps us out there. I’m looking forward to it. 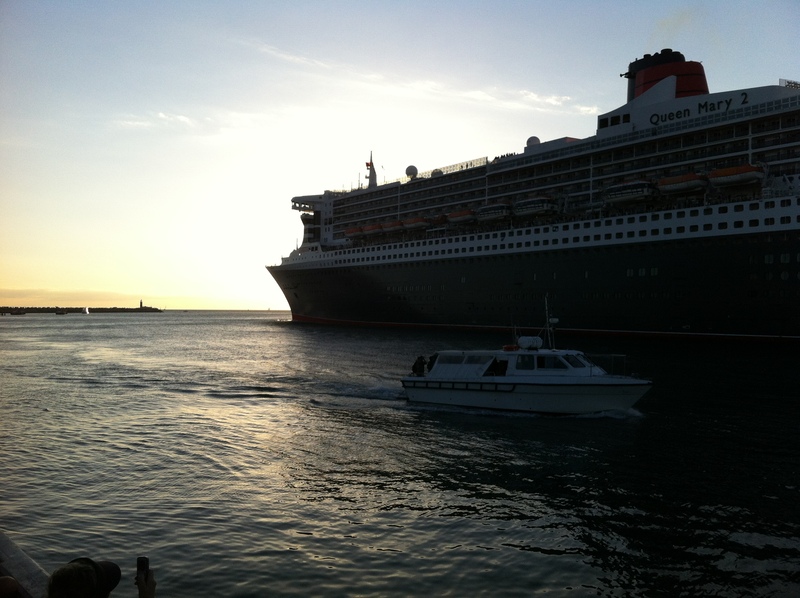 Each trip usually brings something new. This week I’m up in Queensland seeing DeckHardware customers, old and new. I have had the opportunity to stay with my Aunt and Uncle on the Gold Coast. Geoff is the owner of a Ross780 which he keeps in the canal at the rear of his house. At low tide as you can see the boat only just stays afloat. Normally it’s up on the floating pontoon, the ease of launching and retreiving surprised me. 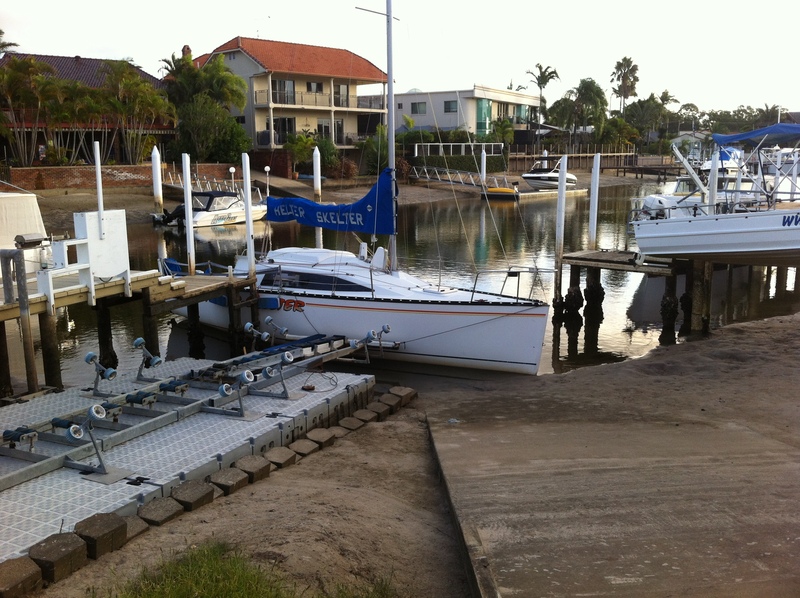 Doing the rounds of the Gold Coast marine businesses is surprising. There’s those who seem to be doing OK, others who seem to be lowering their stock levels. Then there are those businesses who have shut up shop all together. 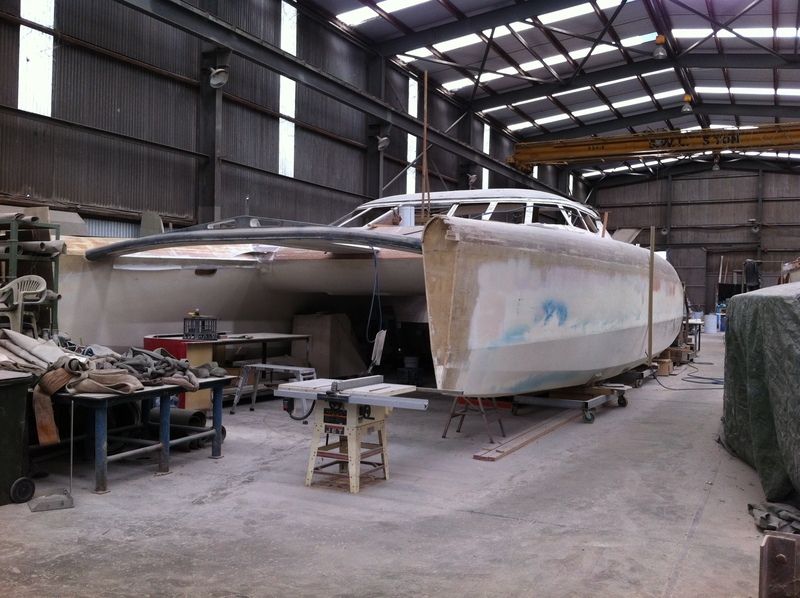 I saw one builder yesterday, who once he finishes his own boat in the next 12 months, will be looking to close down. I don’t know how those looking to start out in boat building will get a start, unlike I did back in the early 70s, with no builders left. 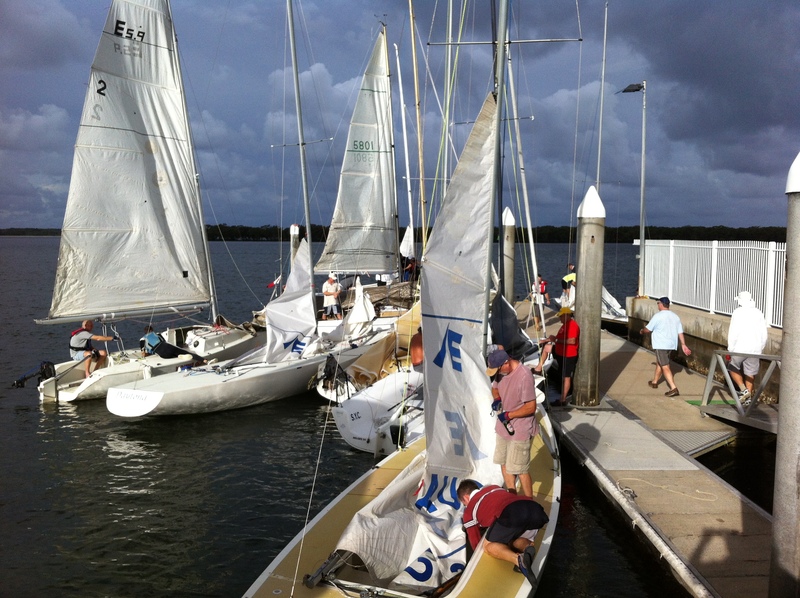 The fleet for the Wednesday late afternoon race was an assorted lot, like most clubs. There were an assorted fleet of trailer yachts, including Geoff in his Ross780, a large number of Etchells and even a couple of old IOR Quarter tonners. The interesting thing here is that they sail the same course each week due to the confines of the Broadwater and the tide flows such that the smaller boats seemed to struggle against it. Saturday I hope to drop by the World Laser Masters championships at Royal Queensland Yacht Squadron in Brisbane and catchup with a few old foes.